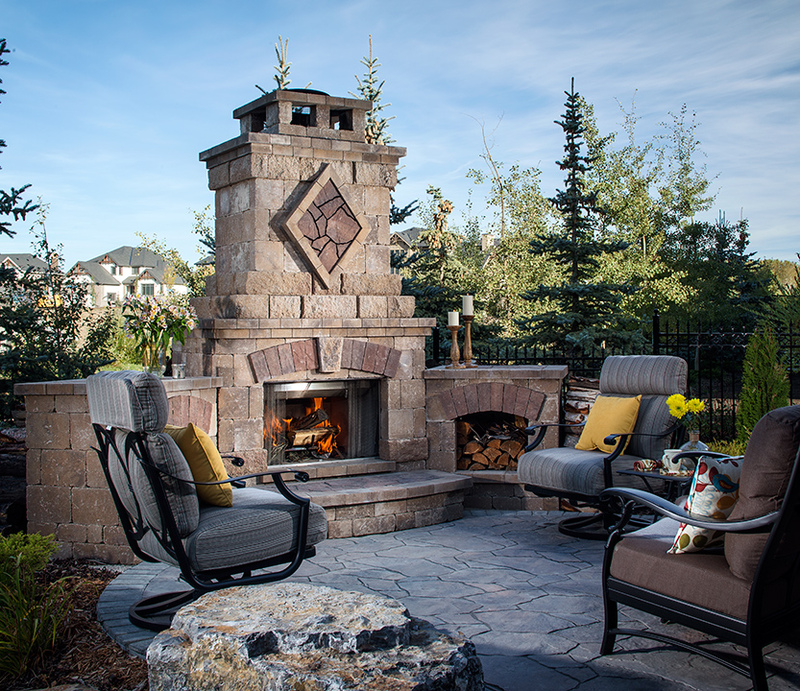 Heat up your outdoor experience by incorporating a fire feature in your landscape. Palazzo fireplace, by Heat & Glo, available at Forshaw. Vintage 2424 fire pit, by The Outdoor Great Room Company, available at C. Bennett. Hammered copper top fire pit, by O.W. Lee, available at Amini’s. Pine ridge 1242, by The Outdoor Great Room Company, available at C. Bennett. Bristol fireplace set on mega-arbel paver patio, by Zac Terrill, available at Summer Classics. Photography courtesy of Belgard, an Old Castle Company. Modern patio, by RCO Designers. 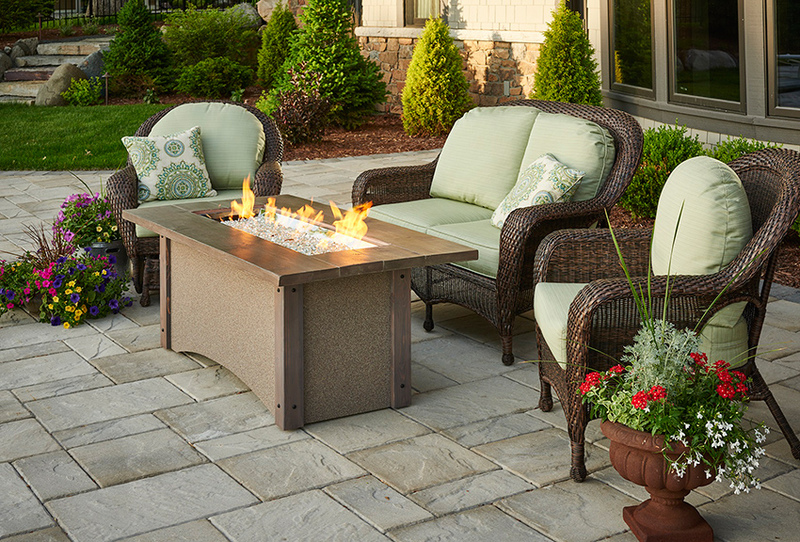 Uptown fire pit table, by The Outdoor Great Room Company, available at Summer Classics. 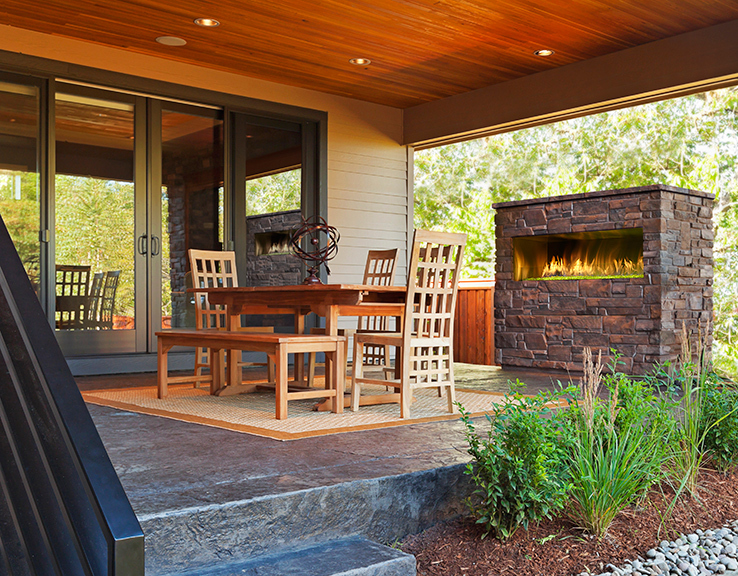 Heat up your outdoor experience by incorporating a fire feature in your landscape. 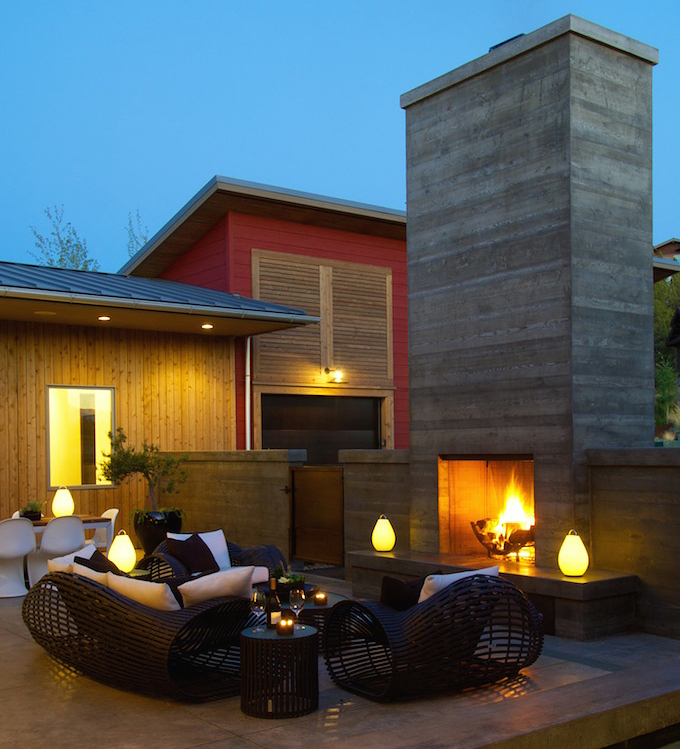 Fireplaces, fire pits and fire tables light up the ambience and extend the usability of your outdoor space from day to night and summer to fall. ONE: Palazzo fireplace, by Heat & Glo, available at Forshaw. 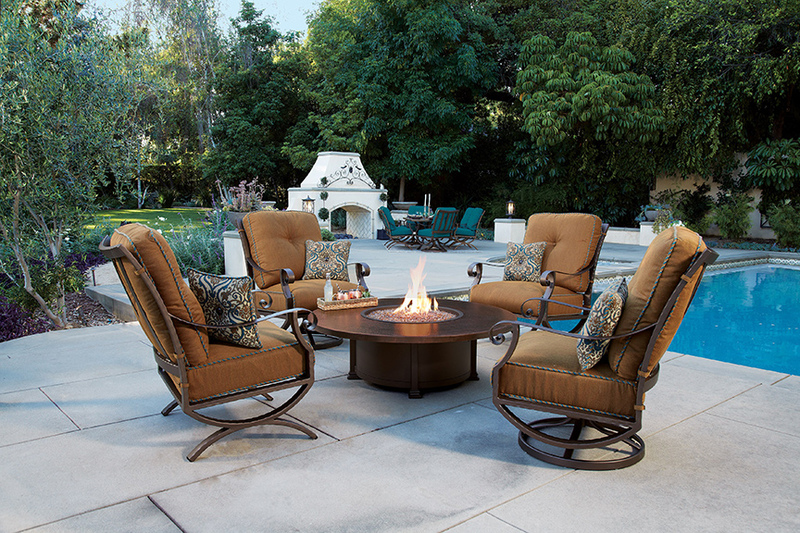 TWO: Vintage 2424 fire pit, by The Outdoor Great Room Company, available at C. Bennett. THREE: Hammered copper top fire pit, by O.W. Lee, available at Amini’s. FOUR: Pine ridge 1242, by The Outdoor Great Room Company, available at C. Bennett. FIVE: Bristol fireplace set on mega-arbel paver patio, by Zac Terrill, available at Summer Classics. SIX: Modern patio, by RCO Designers. 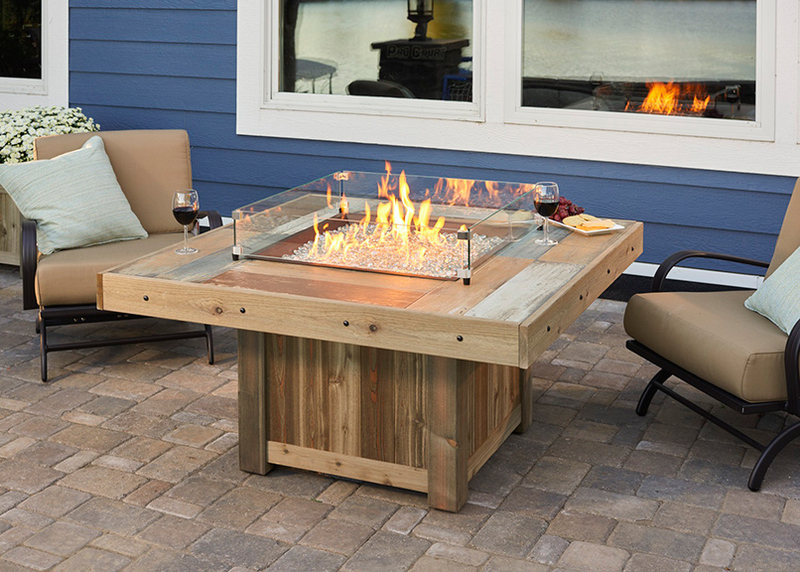 SEVEN: Uptown fire pit table, by The Outdoor Great Room Company, available at Summer Classics. 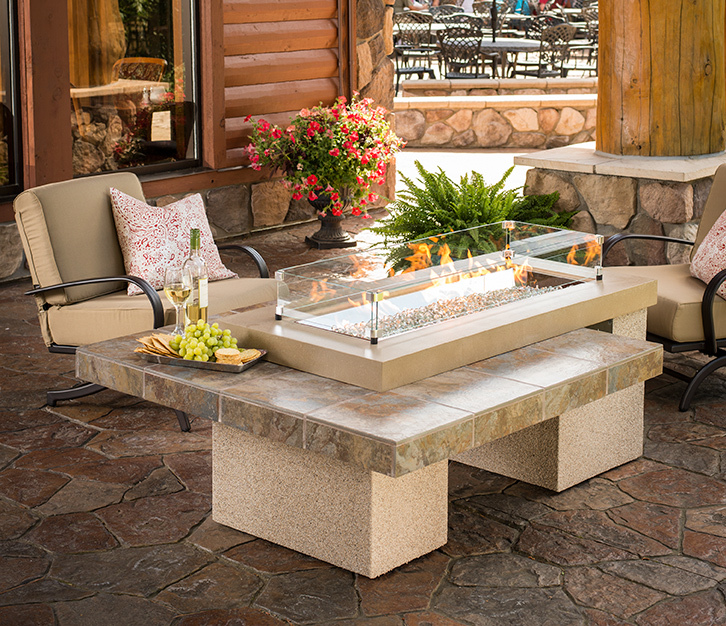 EIGHT: Sierra fire pit table, by The Outdoor Great Room Company, available at Summer Classics.